The Inspector General of the Police, Ibrahim Idris, has approved the request of the National Human Rights Commission (NHRC) to begin an independent audit of the detention cells in all the commandos and police formations in Nigeria. The audit would also include all the detention cells of the Special Anti-Theft Squad (SARS). 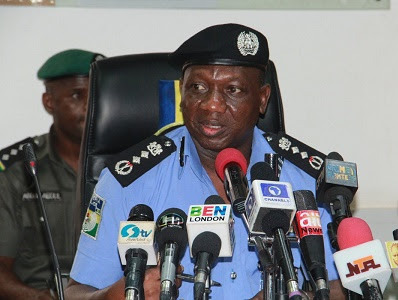 The Rapid Public Complaints Response Unit (PCRRU) of the ACP Abayomi Shogunle made the disclosure in a statement on Wednesday in Abuja. Shogunle added that the audit would allow the National Human Rights Commission to monitor the human rights situation of the detainees, as well as carry out a general audit of the state of the police detention centers (cells) in the country. "This exercise is part of the NHRC 2018 audit of police detention centers in Nigeria," he said. The National Human Rights Commission urged the Federal Government to review the system of preventive detention alleging the excessive use and abuse of the practice in Nigeria. The commission was established by the NHRC ACT, 1995, amended to deal with all matters related to the promotion, protection and application of human rights in Nigeria. The PCRRU was established by the police authorities in 2015 with the mandate to receive and resolve cases of professional misconduct against agents.